When vacationing or traveling for business, it is important to be fully prepared for the elements. Offering a line of skincare amenities, including sunscreen, lotions, and insect repellents provides guests with a higher level of comfort during their stay. 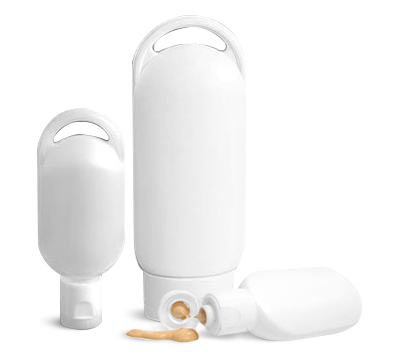 SKS offers a range of HDPE and polypropylene skincare toiletry containers in a variety of sizes and styles, with a range of matching dispensing closures to fit your needs. Choose from three stylish travel size tottles for skincare toiletries, like sunscreen, lotions, and more. These tottles are composed of HDPE plastic, which is semi-flexible, offers good resistance to chemicals, features excellent moisture barrier properties, and is impact resistant for on the go. White and natural tottles with hang loops allow for toiletries to clip onto toiletry or beach bags. The solid loops provide extra sturdiness and compatible white snap top caps easily dispense product when the toiletry bottles are lightly squeezed. For additional ideas on the usefulness of tottles be sure to visit our tottle product spotlight! 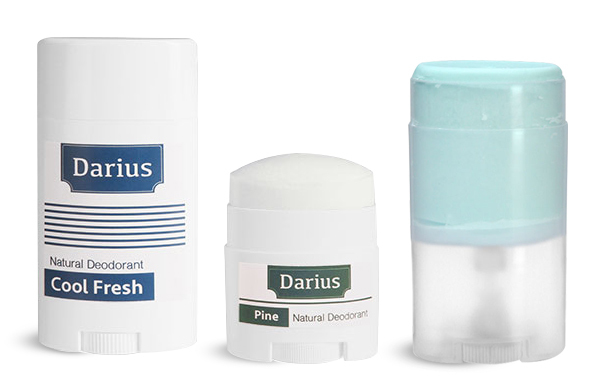 SKS carries a wide range of deodorant toiletry containers for maintaining fresh skin. Take a look at our product spotlight for even more ideas. These deodorant tubes are a top choice when offering toiletries to hotels or bed and breakfast locations, or for expanding product lines. Each toiletry container style includes a smooth turning mechanism to dispense product, like deodorant or solid lotion, neatly. Select sizes between .35 oz to 2.65 oz to stay within TSA capacity requirements.